The Datasat LS10 is a stripped-down and frill-free ‘lite’ version of the company’s flagship RS20i, aimed squarely at the custom install market. Those looking for fancy GUI interfaces, easy-to-access user options and wow-factor remote controls can look away now. If you are seeking seamless performance, pro-quality processing and even Auro-3D, then read on. For many years, the general perception of the Canadian brand NAD might best have been summed up as ‘workmanlike.’ Behind that rather prosaic grey livery, the engineering was solid, reliable and normally very effective but rarely did it cause a huge amount of excitement. This isn’t to say there haven’t been some great NAD products – there have been several, including the predecessors to the models on test here – but the brand was about worth rather than superficial excitement. Full 7.2.4 Dolby Atmos processing, nine channels of amplification, networking, Bluetooth, AirPlay, Spotify Connect and an Auro-3D upgrade to boot. Denon’s AVR-X5200W has certainly been an exciting AV receiver to live with. And excitement... well, that's what home cinema is all about. A cursory glance might suggest that the AVR-X4100W looks like any other receiver released from the Denon stable over the past decade. However, that notion couldn’t be further from the truth. While the basic form factor promises comfy familiarity, everything from feature set to UI has been dramatically overhauled. This is an AVR ripped from the science labs of tomorrow, an AV hub in a Starfleet uniform. Primare, purveyor of high-end AV and hi-fi, isn't a noted follower of fashion. Its stock in trade is immaculately built and designed components for the connoisseur. While this philosophy has a natural affinity with two-channel hi-fi, it’s a less easy fit with AV, where features and functions are typically stacked higher than Godzilla’s galoshes. The £500 AVR market is more competitive than the final stages of The Great British Bake-Off. These days, it’s no good simply offering multichannel decoding and amplification with the odd DSP mode and a raft of HDMI sockets. No: you have to spread the love and get your AVR to cosy up to all the other technological toys that are stuffed with entertainment content, including smartphones and servers. And the best way to do that is sans wires. Anyone enjoying a game of 'spot the difference between two AV receivers' would face a stiff task if faced with Pioneer's new VSX-924 and its predecessor, the VSX-923. 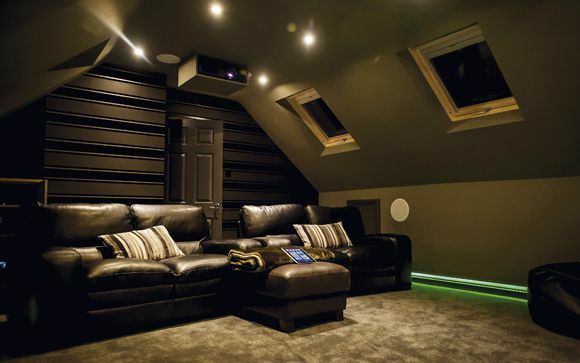 This £500 home cinema power-pusher sports the same neat styling and shares many of the same specifications. But dig a little deeper and you'll find some key upgrades that see Pioneer embracing new trends in AV. The Marantz NR1605 is the latest update to the brand's increasingly popular slimline AVR line. With sales of traditional home cinema receivers shrinking faster than the crown jewels of a skinny-dipping Inuit, AV brands have been looking for ways to curry favour with disenchanted cinemaniacs. One solution is to add Wi-Fi and Bluetooth, the other is to embrace a leaner form factor. Here Marantz has done both. Harman/Kardon steps into the crowded, competitive midrange receiver market with the AVR 171, a product packed with compelling cutting-edge features and an impressive specification. Onkyo's TX-NR929 is not one of the brand's heavyweight offerings, but this well-priced receiver – it now sells for around £1,000, after initially launching at nearer £1,500 – packs enough performance and feature tricks to comfortably drive and tune most people's setups. The value for money offered is superb, and it's therefore easily recommended. When it comes to crafting AVRs, Arcam is very much from the old school. It's more concerned with the purity of performance than the number of logos on the box, an ethos that has earned it audiophile adoration, if not the attention of feature-seeking budget buyers. Pioneer’s range of AV receivers caters to budgets from the extremely frugal to the decidedly lavish. If you feel that you sit in the latter category, you will need to look at the top of the pile and the SC-LX87. And, although this flagship might not be as pricey as some of the company's previous one-box offerings (such as the SC-LX90), it's still a very serious amplifier indeed. If traditional home cinema is to flourish, it needs AV receivers like the Marantz NR1604. It’s no secret that real-world consumers have fallen out of love with the surround sound behemoths of yesteryear – incredible hulks just don’t cut it anymore (unless they’re green gamma-soaked scientists). Home audio has downsized dramatically, and AVRs have been slow to follow suit. Just as well then, that this third iteration of Marantz’ slim-line NR models is, simply put, the best yet. When it comes to form, functionality and outright fun the NR1604 pretty much nails it. It goes without saying that by its nature this style of receiver isn’t so much about reckless performance, as usability (an often ignored phrase in the hedonistic world of home theatre). The dinosaur, it seems, is evolving.